Our uniquely comprehensive solutions combine VeriSource, our integrated software to manage Operator Qualification (OQ), Drug and Alcohol, Safety, and Certificate of Insurance Tracking programs, with value-added audit and consulting services and complementary training offerings. All tickets will be distributed through Flash Seats. 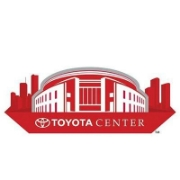 You will need the mobile app to access your ticket for entry into the Toyota Center. To access your ticket, download the app and create a Flash Seats account using the email you registered with. Once you have done those two steps, you will immediately see your ticket on the Mobile ID tab. You will use the Mobile ID to enter the venue. If you requested a parking pass, it will also be distributed through Flash Seats and can also be seen on the Mobile ID tab. The parking pass is for the Toyota Tundra Garage at 1515 Jackson. All attendees are encouraged to use the suite-level private sky bridge entrance on level 3 of the Toyota Tundra Garage to enter the venue. We will be in Conference Room 94 for the presentation. If you have any questions, please contact Erica Gannon via email at erica.gannon@veriforce.com or via phone/text at 713-703-0155. Join us on Thursday, December 13 at the Toyota Center as safety and supply chain professionals from across the Gulf Coast will come together for an evening of networking and basketball! Hosted by Veriforce, the event begins with a best practices discussion from safety and supply chain experts on how to manage contractor performance and risk. Next, a live product demonstration of how our safety and supply chain clients are streamlining their vendor prequalification processes, improving their visibility into vendor compliance with insurance and OSHA safety requirements, and effectively mitigating third-party and supply chain risk. Following the discussion, attendees will enjoy an evening of basketball, with spectacular views of the action from the Toyota Center Suites. This is an invitation-only event. Tickets are complimentary for Safety and Supply Chain professionals, but are limited due to the size of the suite. Tickets provide access into the suite for the presentations and basketball game, and include food and beverage. To request an invitation, complete the form through the button below. For more information about this event, contact erica.gannon@veriforce.com. Get tips and tricks on how to best partner with your contractors, suppliers, and other vendors to drive compliance with your company's insurance and safety requirements. Then, see for yourself how VeriSource enables you to gain clear visibility into contractor, supplier, and vendor compliance with insurance and safety requirements, streamlines vendor prequalification and monitoring processes so you can focus on other priorities, get insight into OSHA safety risk among your suppliers and contract labor workforce, and an enhanced view of your vendor relationships and the associated risk. See the Houston Rockets take on LeBron James in his first season with the L.A. Lakers. The Toyota Center is located in downtown Houston. Click here for directions and information on parking and public transportation. Suite tickets at Dodger Stadium.. Thanks for coming out to our L.A. stop!. Veriforce® is a leading provider of solutions that enhance workforce and community safety. Our integrated software to manage Safety, Certificate of Insurance Tracking, Drug & Alcohol, and Operator Qualification programs, plus value-added audit, consulting, and training services, help organizations simplify contractor management, streamline compliance processes, and more effectively mitigate risk. Headquartered in the greater Houston area, Veriforce serves as a trusted partner to over 190 top companies and their network of more than 8,000 contractors, suppliers, and vendors. This complimentary, but limited ticket event includes access into the suite for the presentations and Houston Rockets vs. L.A. Lakers game, plus food and beverage. We will follow up with all invitation requests to confirm your event status.